The much neglected Bulli War Memorial at Slacky Flat. ON the eve of ANZAC Day commemorations, Bulli’s historic World War I cenotaph at Slacky Flat is in desperate need of restoration. The neglected monument is surrounded by concrete piping and other building materials as part of works associated with the construction of a residential estate on the old Bulli Brickworks site. The piping, to be placed under the park, is to take floodwater from a retention basin near Bulli Tennis Courts, into Slacky Creek. More worryingly though is the state of the monument itself. The cenotaph is to the memory of 242 men of the Bulli Woonona district who served in the war – including 40 who were killed in battle. The stone memorial was built at a cost of £400 and was unveiled by former Bulli Shire Council president J.S. Kirton on ANZAC Day in 1924. Today the monument is covered in mould, the marble plaques are cracked, with parts missing, and the leading inscriptions have deteriorated. Calls have been made for funding to be made available from that allocated by the Federal Government for restoration of war memorials as part of the centenary of World War I. The Bulli Times understands Woonona Bulli RSL Sub Branch have sent a letter of support to Wollongong City Council for funding to restore the Slacky Flat monument. A Wollongong City Council spokesperson said it has been maintaining the reserve at Slacky Flat and the small World War I memorial on the reserve. “Council is currently working collaboratively with the local Centenary of ANZACs committee and RSL Sub-branches to identify and undertake needed maintenance works on all of our memorials, including the one at Slacky Flat,” the spokesperson said. The Black Diamond Heritage Centre at Bulli Railway Station has also approached Woonona Bulli RSL Sub Branch to garner support for the monument’s restoration. Historian Michael Organ said as the ANZAC centennial commemorations approach it seems like the historic Bulli monument has been forgotten. “Council and the RSL need to step in to ensure it is taken care of and used in the upcoming ceremonies,” Mr Organ said. 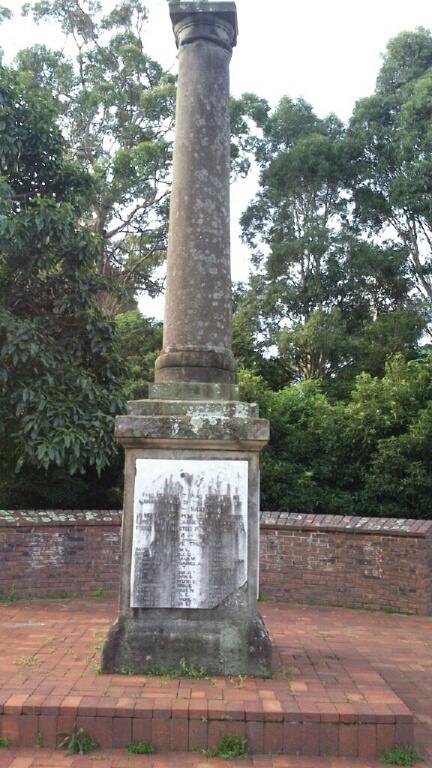 The monument was originally located at the corner of Hopetoun Street and the Princes Highway at Bulli before it was damaged when hit by a car in the 1970s. The monument was stored in Council’s North Wollongong depot for over a decade before the Black Diamond Heritage Centre arranged for it to be returned to Bulli. 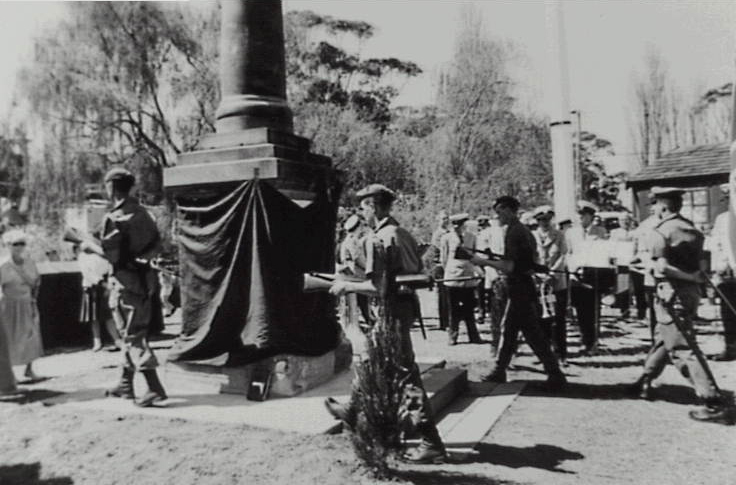 The partly restored cenotaph was unveiled during the Back to Bulli celebrations in September 1989. The rededication of the Bulli War Memorial at Slacky Flat in 1989. 5.45am: Service at Charles Harper Memorial Park, followed by breakfast at Helensburgh Sports and Recreation Centre. For more information call Michael Ali on 0418 974 074. 5.50am, service at 6am: Meet at Coledale Newsagency at 5.50am for march to Coledale RSL. Service followed by breakfast for gold coin donation. For more information call (02) 4267 1873. 5.50am, service at 6am: March from car park adjacent to Austinmer Surf Club to Austinmer War Memorial. For more information call Warren Helson on 0412 631 258 or (02) 4285 6200. 6am: Dawn service at Fred Woodward Park, Thirroul. For more information call Warren Helson on 0412 631 258 or (02) 4285 6200. 5.45am for service at 6am: March from IGA car park to the cenotaph at Woonona-Bulli RSL Club. For more information call Robert Price on 0448 995 070. March starts 5.30am, service at 6am: March from Corrimal RSL to Anzac Grove Memorial, Railway Street, for service, and return to RSL. For more information call John Simpson on 0403 928 506. 5.30am: Wollongong Cenotaph, MacCabe Park (forming outside City Diggers). For more information call (02) 4225 9818. Starts 10am: Commences at the southern end of Church Street, along to Cenotaph, then along Burelli Street for service at Wollongong Town Hall. For more information call (02) 4225 9818. Department of Veterans Affairs had already allocated $10,000 for restoration of the monument. Great news. Who is supervising the project, do you know Kerrie?